The minimal “lite” image of Debian 8 (Jessie) is an excellent choice for a headless Raspberry Pi. After downloading to the SD card, these notes from Dmytro Bobkov covers the basic initial setup, while wifi setup from the command line is explained here. More details on CLI wifi on Debian in a previous post here. The Raspberry Pi Foundation is not holding back. Since the original Raspberry Pi B launched four years ago, there has been a steady stream of new devices and upgrades: The much improved Raspberry Pi 2 came out two years ago, and it was just before Christmas that the tiny form-factor Pi Zero launched. Today, they’ve announced another upgrade in the form of Raspberry Pi 3 B, also selling for $35. Apart from an upgrade to a 1.2GHz 64-bit quad-core ARM Cortex-A53 CPU, the most exiting news is the integrated 802.11n wireless LAN and Bluetooth 4.1. Ideally, it means that no other external devices are needed, assuming that a Bluetooth keyboard works (sometimes they can be flaky). This will likely be a hit, so expect to wait for some time for stocks to fill up with the different retailers. And of course, the stated price might not be obtainable if buying locally. 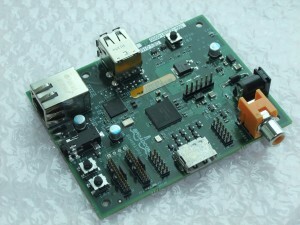 The Banana Pro from Lemaker is another credit card sized Single Board Computer. The Raspberry Pi is still leading that space with more than five million units sold, but it’s starting to get crowded. 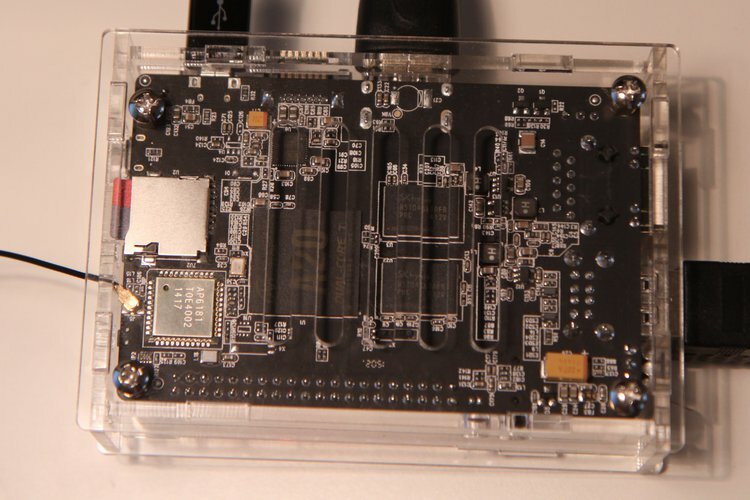 Banana Pro is probably one of the boards which comes closest to the Raspberry Pi, and indeed, their first version was called Banana Pi. This is from China, where imitating is a compliment. However, except for its size, the Banana Pro is a very different computer. It has 1 GHz dual core Cortex ARM 7 CPU and comes with 1 GB of DD3 RAM, embedded Wifi, IR receiver, and maybe the best, a full speed SATA 2.0 connector. The price is similar though, at about €45 from Reichelt in Germany. Compared to the original Raspberry Pi, it’s actually a very usable computer for day-to-day use. 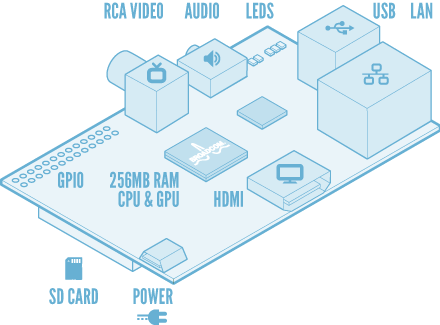 However, the Pi 2 probably evens that out, with a similar CPU and RAM. Just like the Pi, it has a 40 pin header, with 28 GPIO pins. It also has a camera interface, but also a display interface connector. The distribution Lubuntu comes with Firefox, which runs quite OK. However, graphics acceleration is missing, and that is noticeable. The Lubuntu install detected and used the Wifi and IR receiver out of the box. It so happened that the volume button on my stereo remote was mapped to “CALC”, so the calculator application pops up. Should be great for XBMC / Kodi. An XBMC Debian based distribution is available, called LeMedia. It claims to support hardware graphics acceleration. There are many distributions available. Another interesting and obvious one would be the Open Media Vault, which makes it into a Debian based NAS with a good web UI. Here the SATA port comes in handy. Below are front and back pictures, which should be pretty self explanatory (if you click to get a large picture and zoom). All connectors are described. Also notice the Wifi antenna to the left on the last picture, below the micro SD card. 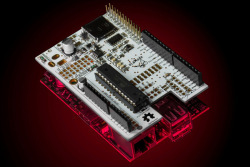 MAKE magazine has a nice write-up of several of the popular micro controllers, prototyping and hobby boards out there. 36 of them in total. Of course, that covers only a fraction of all the brands, models and variations. That list runs much much longer. chroot allows you to “run a command or interactive shell with special root directory”, as the man page says. However, it is assumed that the second level root directory is built for the same CPU architecture. This causes a problem if you want to chroot into an ARM based image, for the Raspberry Pi, let’s say. qemu-arm-static, some “voodoo” and several tricks come to the rescue. The process is documented well at Sentry’s Tech Blog, and the original seems to be by Darrin Hodges. After downloading and unzipping the image, it has to be mounted. There are a few ways to go about this, but I found the easiest was to use plain old mount with an offset. The typical RPi image file is a full disk image, as opposed to a single partition or ISO though. We are after the second partition, which in our case starts at sector 122880. (See this discussion for how to find the correct starting sector using fdisk). Next we’ll copy a statically built QEMU binary for ARM to the mounted image. You might need to install QEMU on the host system first. Furthermore, we need to mount or bind the special system directories from the host to the chroot. Next comes the magic. This registers the ARM executable format with the QEMU static binary. Thus, the path to qemu-arm-static has to match where it is located on the host and slave systems (as far as I understand). In some cases, the error “qemu: uncaught target signal 4 (Illegal instruction) – core dumped” occurs. User kinsa notes here that the lines of the file ld.so.preload (i.e. on the slave, /mnt/rpi/etc/ld.so.preload) has to be commented out (with a # in front). Congratulations, you now have an ARM based chroot. What to do with it? Maybe install a few “missing” packages before copying over to one or more SD cards, set up the users, modify passwords, etc. Or take advantage of the CPU and memory of the host system or compile from source. As a final note, when done, you want to clean up the mount points. Just tested a HDMI to VGA adapter for the RPi with my old CRT 1024×768 monitor. It works great! 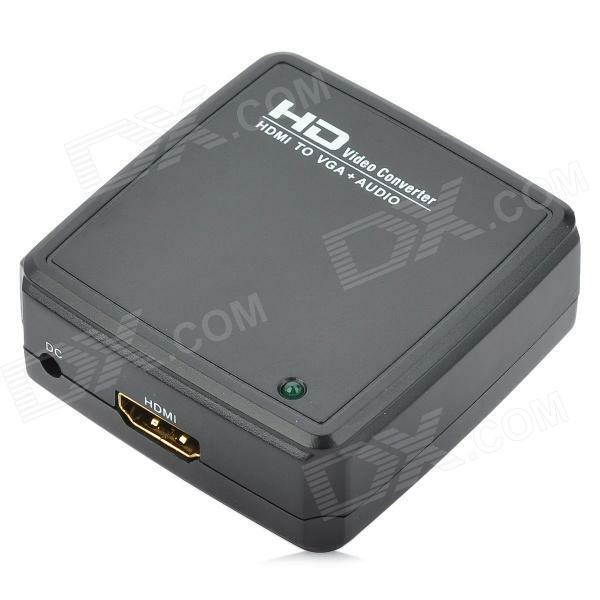 This was the “HD2V04 HDMI to VGA + 3.5mm Audio Jack Converter Adapter Box“ from DealExtreme, at $21.70. The VGA port was a bit tight, so I had to make sure it was properly connected. Also, the monitor did not display anything before a cold restart of the Pi. It comes only with a USB power cable, to it means a wall wart or powered USB hub is required. (It should go without saying that you don’t want to power it off the Pi itself). Some notes on building XBMC from source on the Raspberry Pi: I started with the Raspbian 2013-09-25-wheezy image from here. After basic setup, I switched to CLI only, set the GPU memory to 16 MB, logged in over SSH, and started a screen session. A remote session is preferred, since there will be a lot of coping back and forth between the RPi and your desktop. That took me as far as a working XBMC setup, however videos are not playing. With MPlayer there is no problem, but XBMC just gives a black screen. I will have to investigate further. There’s a similar set of instructions here. A few months back I bought a couple of cheap USB WiFi adapters from DealExtreme. Today I finally got around to try them on the Raspberry Pi. 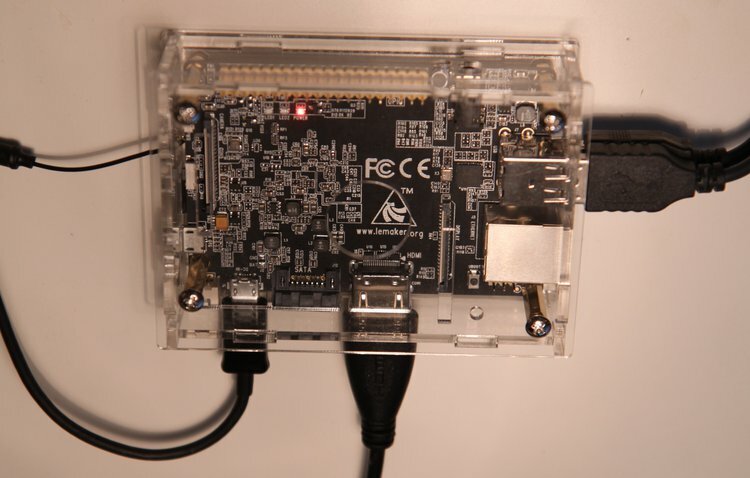 Of the three adapters, two works both on a Fedora 17 64 bits based desktop as well as on the RPi. Notice that they both seem to contain the same chip, and indeed reports the same vendor and product ID. The last, the EDUP device, does detect available WiFi networks, but usually does not establish a connection (the very last time I tried, it suddenly did). I suspect it might be a USB power issue, since it also “crashed” the USB hub on the desktop, causing the keyboard and mouse to temporarily disconnect. Here are some notes which might be related. Of the three, the one with antenna is fastest at establishing the connection, but the other small adapter also gives good transfer speed; around 3.6 Mb/s seen today, but I expect it can go faster. For other devices supported by the RPi, see the the Embedded Linux WiFi page, and also Element 14′s WiFi testing page. SerialNumber: 1.0 driver: ‘rt2800usb’ OK OK Works “Plug & Play”. Somewhat slow at establishing the network connection. Manufacturer: Retek driver: ‘rtl8192cu’ Failed. Works 1 out of 10 times. Crashes the RPi. Device detected, and sees available WiFi networks, hover does usually not get a connection. The $25/35 Raspberry Pi matchbox computer finally launched today, after much anticipation, impatience and extremely clever marketing. In the last few days, their web servers have been overwhelmed by the people hitting re-fresh to know when the device will go on sale. When it finally did, both distributor web sites melted. The 10k units produced were sold out before lunch. So, if you’re like me, and did not get a device this time around, you might want to join the support group over at Slashdot. There you will find people crying like kids who missed Santa. If it was kids, that would be one thing, but some of these crying guys actually have jobs. Amazing. Then there was one guy who had missed the weekly, or almost daily articles and didn’t know what this stampede was about. I guess he didn’t get one either. Well, there will be more of these devices, and then some bugs might even be ironed out. A few days ago, Raspberry Pi announced that they had gotten Quake 3 running on their ARM computer. Furthermore, their FAQ estimates the networked model will cost $35 and be released at the end of this year. There is also an interview in the Guardian. The device is powered by an external AC adapter, and the Model A consumes around 1W at full load. The device should run well off 4xAA cells.